The author fills a vacuum that exists in research into journalistic practices and principles of exiled journalists. 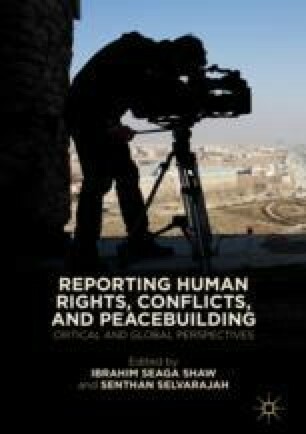 He first explores the professional norms of exiled journalists by discussing their motivations and conceptions of professional standards, and touches on the concepts of Peace Journalism and Human Rights Journalism. He later explores the role of a group of exiled journalists from Sri Lanka, Journalists for Democracy in Sri Lanka, in instigating the island’s accountability and justice process, and sheds light on how they intervened to establish international pressure on issues surrounding human rights violations and mass atrocities, in a manner to identify the type of journalistic model that inspires and guides them. Using ethnography and interviews he identifies three principal themes: (1) Diagnostic and Proactive Approach; (2) Triple Win Approach; and (3) Justice, Accountability and Advocacy.